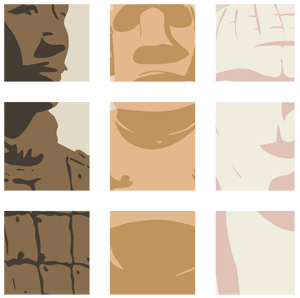 A new joint project by the British Museum and the UCL Institute of Archaeology is seeking online contributions from members of the public to enhance a major British Bronze Age archive and artefact collection. The project team, co-led by Professor Andrew Bevan (UCL Institute of Archaeology) and Daniel Pett (British Museum), have photographed hoards of Bronze Age (ca. 2500 BC - 800 BC) metal objects and scanned thousands of paper records of further metal artefacts from British prehistory. They are now asking for public assistance in modelling, transcribing and locating these archaeological finds via a dedicated "crowd-sourcing" website: http://crowdsourced.micropasts.org/ The website is powered by an open source Pybossa citizen science framework. Neil Wilkin, the curator of Bronze Age collections at the British Museum, is seeking online help from anyone interested in British prehistoric archaeology in researching and enriching our knowledge of the first national catalogue of Bronze Age objects in the UK. This record contains over 30,000 Bronze Age tools and weapons that were discovered during the 19th and 20th centuries, and complements the current Portable Antiquities Scheme (PAS) database of metal object finds. The catalogue contains index cards detailing object find spots and types, alongside detail line drawings and a wide range of further information about the object's context of discovery. The catalogue itself also has a long and special history. It was a major archaeological initiative first founded in 1913 and then moved to the British Museum in the 1920s. For over 70 years, it represented the highest standards of Bronze Age artefact studies. "This information has long been known to be an extremely important untapped resource," says curator Wilkin, "Metal finds are not only crucial forms of evidence for dating Britain's prehistoric past, but also tell us a great deal about prehistoric society and economy. Once we have digitised the thousands of objects in this catalogue, they can be incorporated into the Portable Antiquities Scheme (PAS) website. The result will be the largest national database of prehistoric metal finds anywhere in the world and a near-comprehensive view of what we currently know about such finds in the UK. This will allow rethinking of almost everything we currently know about the use of metal in Bronze Age Britain, giving us a far more comprehensive view of our prehistoric past." The UCL Institute of Archaeology is really well-placed to foster a crowd-sourcing project of this kind, because we have such a wealth of expertise under one roof, spanning computer-based methods, artefact studies, public engagement in archaeology, archival science and British prehistory to name just a few. A further goal is to create a large series of research-quality 3D models of some of the fantastic Bronze Age metal objects held in the British Museum's collections. Neil and the MicroPasts team will be developing high quality 3D models of a selection of bronze axes recorded in the card catalogue, via the same crowd-sourcing platform. Today, these models can easily be constructed from ordinary digital photographs, but an important step in creating a really good model is to identify the outline of the object in each photograph. The team are asking for anyone with an interest in these prehistoric artefacts or modern digital methods to help via the crowd-sourcing platform. The resulting 3D models will not only enable them to better visualise the artefacts, but will also encourage new forms of scholarship. By exposing, for example, tiny differences in object style, they will gain new insights into how, where, and when these objects were made. All the project's data will be made publicly available under an open licence so that anyone can use it: whether to share, discuss and protect local finds via the enhanced catalogue, to conduct their own archaeological research, or to make use of 3D models in computer-based environments and games. Professor Bevan added: "The UCL Institute of Archaeology is really well-placed to foster a crowd-sourcing project of this kind, because we have such a wealth of expertise under one roof, spanning computer-based methods, artefact studies, public engagement in archaeology, archival science and British prehistory to name just a few. "One of the things that makes MicroPasts such an exciting project is the fact that we can potentially take it in so many different future directions. We plan to create yet more crowd-sourcing applications for the platform, following both our own personal research interests and those of other university or museum researchers worldwide, but also the ideas of the contributors we attract online." UCL researchers, Chiara Bonacchi and Adi Keinan-Schoonbaert, add that these two crowd-sourcing applications will be followed by further public collaborations both in the UK and elsewhere, and they hope that this project will start a different kind of discussion about how we research our collective past.